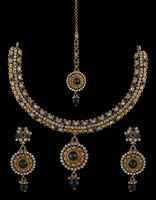 Check out this beautifully designed fancy traditional necklace set from the house of Anuradha Art Jewellery. 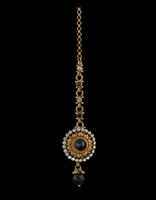 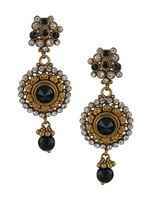 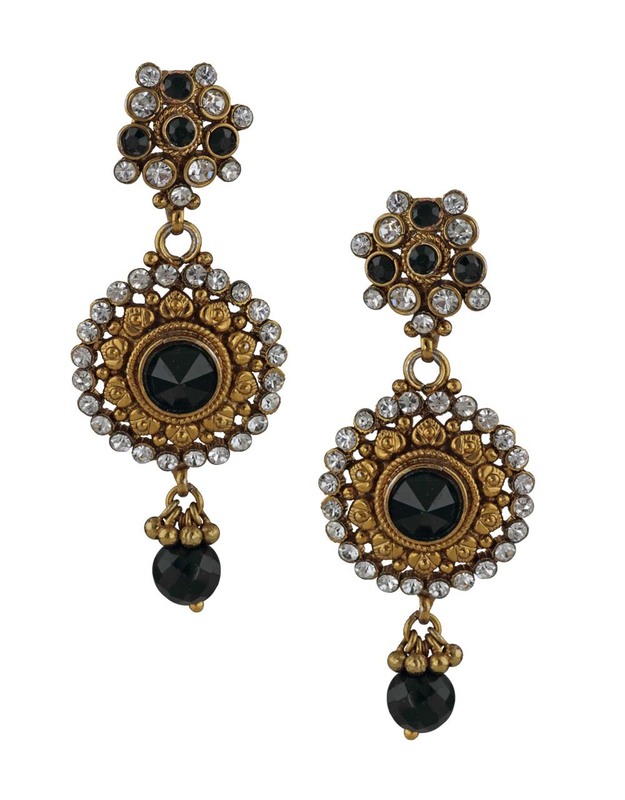 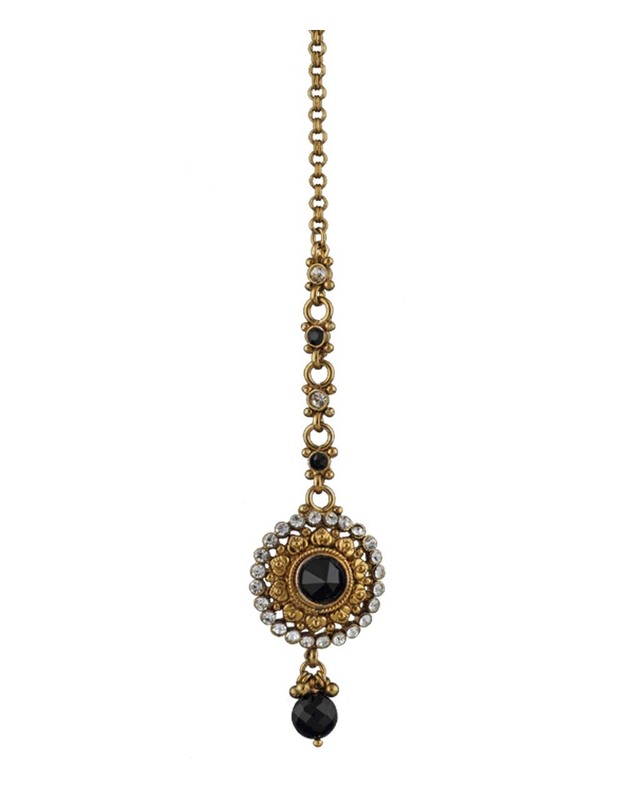 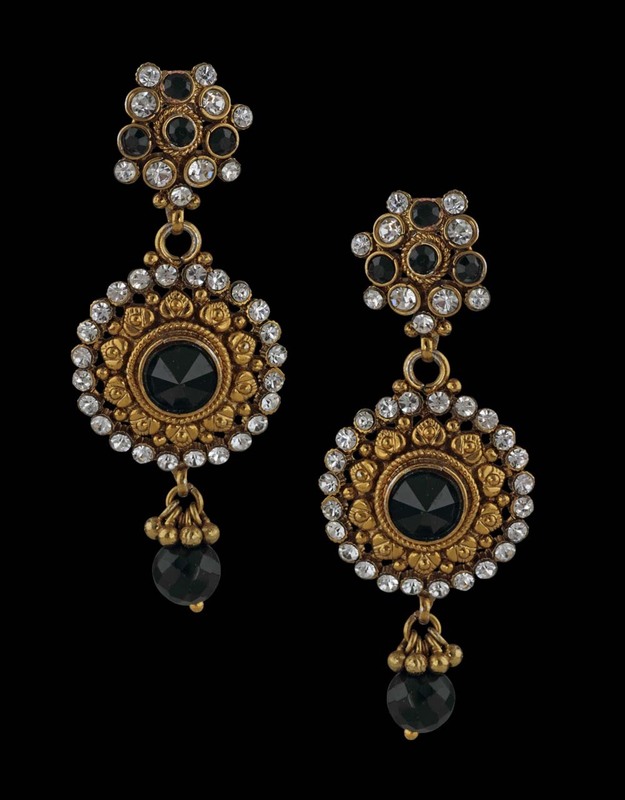 It is studded with stunning black & white colored stones. 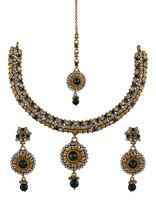 This attractive set will catch your fancy at once, featuring an excellent finish & high durability. 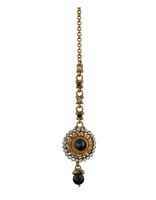 Made from 40% silver & golden polished copper. This set consists of neck piece, pair of matching earrings & maang tikka.